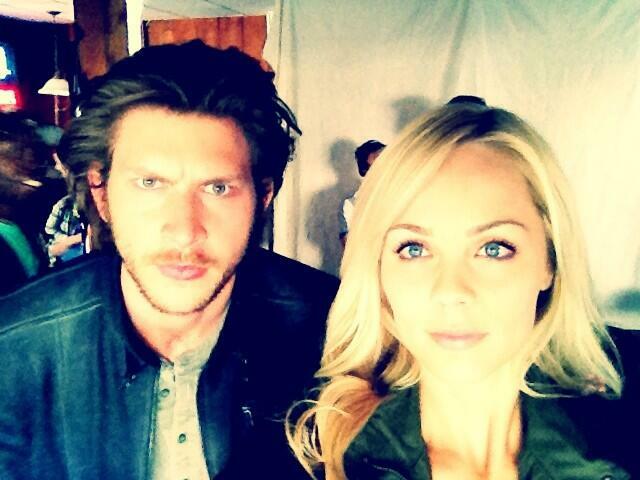 ...Tweeting this: Vandiekins22: "A moment with #Clay #Elena in between scenes. @greystonh Apparently Grey never breaks character..."
Then another article that talks about Laura and Bitten, titled "Bitten, The Series: Everything You Need To Know So Far" via Morgan O'Halloran and Box Office Buz: LINK. I can't wait to see this new series, where Laura is a female alien superhero werewolf.